Why did Christopher McCandless die? 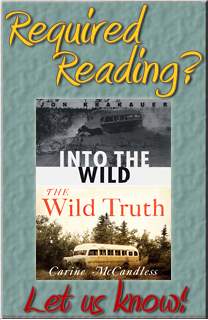 The question still puzzles and haunts, even now, nearly two decades after Jon Krakauer detailed the Alaskan explorer’s doomed journey in Into the Wild. 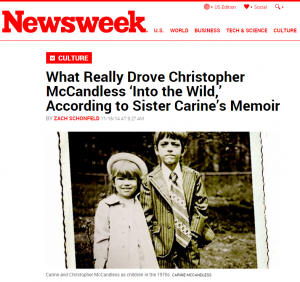 But there’s a slightly different one at the center of The Wild Truth, the new memoir by the late adventurer’s younger sister, Carine McCandless. What drove McCandless to up and leave his comfortable, upper-middle-class existence, abandoning his family for remote wilderness, in the first place? This interview has been lightly condensed for clarity and length. It’s been more than 20 years since Chris’s death. Why now? Why is… See the complete story on Newsweek.com.